Research has consistently shown that children with severe conduct problems often exhibit intellectual deficits, especially in their verbal abilities. We investigated whether or not this finding only applies to certain subgroups of children with severe conduct problems. In a sample of 117 clinic-referred children between the ages of 6 and 13, we assessed for Oppositional Defiant Disorder (ODD) and Conduct Disorder (CD) symptoms using a structured diagnostic interview with each child's parent and teacher, callous and unemotional traits using parent and teacher ratings, and intellectual functioning using a standard individually administered intelligence test. 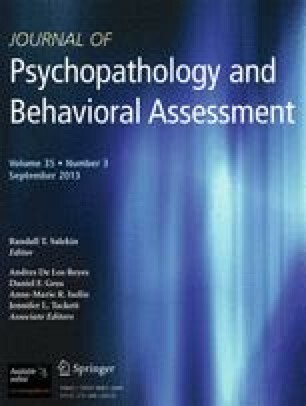 Children with an ODD or CD diagnosis who did not show callous and unemotional traits showed a deficit on subtests measuring verbal reasoning ability relative to a clinic control group. Children with an ODD or CD diagnosis who also showed callous and unemotional traits did not show a verbal deficit and, in fact, showed a trend toward having weaker nonverbal abilities. These results highlight the importance of recognizing distinct subgroups of children with severe conduct problems when studying potential intellectual deficits in these children.